The advancement of technology has made more jobs obtainable online, where anyone can do them, despite physical limitations. I hope to detail on this webpage and specifically help to find easy jobs for the disabled. Creating whole new fields where once there existed nothing. I find this topic so very important to me personally, as I one day may become disabled myself, even though I am feeling great today. I have a genetic kidney disease and could become severely disabled with two kidneys that don’t work anymore. This is one of the reasons I ventured from my 40-hour work life to search for something to support me if I would ever become unable to physically do any kind work. As my full-time job now requires heavy lifting, I work at a stainless steel business, that makes piping and fittings. This is close to my heart, about supporting myself and my wife if this was to ever happen. 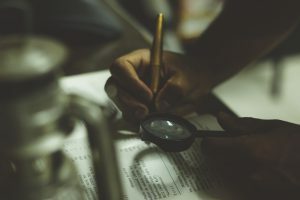 Due to whatever limiting reason for your disability, there is a job waiting out there for your specific skill or unique perspective. 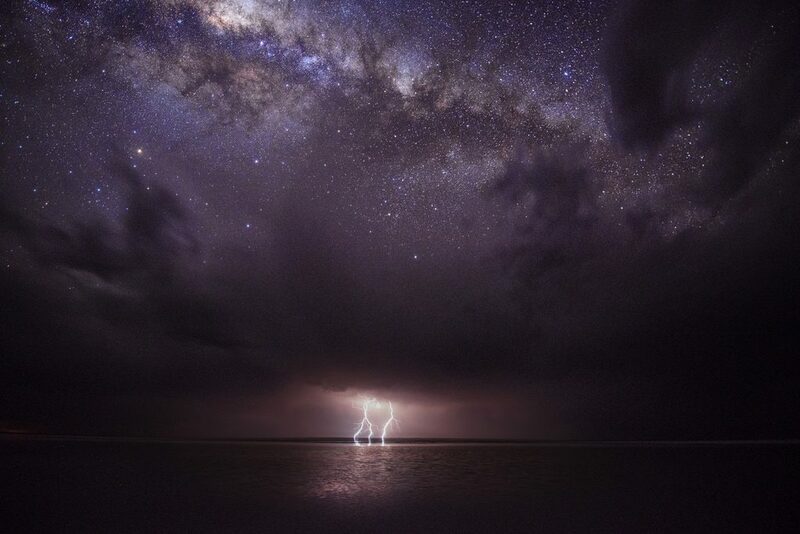 This is the beauty of the universe, it is limitless. I want you to fully understand, there is no end, so essentially no limit. I have often heard this kicked around for a few years, but until lately I actually started believing in it. You know how you hear something and it has to “stew” into your perception of thinking and slowly simmer in that crockpot called our brains. Until one day, you just strip that old way of thinking and bloom a new you. A new more enlightened version of you. This was the case with this mantra. We all seek to grow. This applies to possibilities as well as the size of the universe, it’s full in scope, encompassing all within it. It doesn’t say it is easy, and maybe it is maybe it is not, but it is possible. Sorry, to get all spiritual, but I enjoy shifting my perceptions to the positive and I love sharing them too. I think it applies here as well. People often view being disabled as a limited life, but I disagree. While you might be physically unable to perform certain tasks, you are blessed with a different opportunity in which to seek a different path. When you see that a path is still a path, you are opening your eyes to possibilities. This is a good thing. It might not be the well-worn path that the masses are mindlessly shuffling their feet following societies norms and conformity. But there lies a path. An opportunity. On the surface, yes, it is very simple. These are all you will need to potentially get the jobs I will be listing here. Even if you know nothing about these jobs, you can learn. The reward is the journey, not the destination, it’s a very exciting part, the learning and growing part of the process. It will sometimes be gratifying and other times seem pointless, but so is everything in life. It’s the flow of life. All the aspects of working online can also be achieved online, training, payment, recruitment, and product availability. Not giving a crap about how you look just to earn some money. I mean, getting all dressed up, just to go to work. Also, not having to worry about transportation. Probably the most important factor is having a purpose, without an outlet for ANYONE, life will become complete drudgery. Working a job bring challenges, but with these challenges it also brings rewards. A real sense of purpose is gained from owning, operating and building a website. At least it is for me and I think for anybody. Obviously, people with disabilities could potentially have a lot more time in which they could be trying to earn money online. This could be a significant advantage compared to a person with a full-time job while also trying to start. Your disability could actually be an advantage, in the sheer amount of time. Time to learn, work, practice, and network. Time is your advantage to making money at a job. Know your weaknesses and strengths and you will know yourself. We have all seen unrealistic claims of making huge sums of money online in a short amount of time. Reality is that 99.999% percent of the time this is false. Otherwise, everybody would be doing it. Right? There are jobs out there that you can pull in respectable dollar per hour wages. No business or job will produce success without work. Money never flies out and lands in people laps. The people that promote scams that promote fast money want your money and promise big. Another factor for creating a business, btw, that is one of the jobs I purpose, is time, some of the suggested methods take time. Warning shock statement coming, brace yourself…it may take a year or longer. Wait…Whhhaaattttt? For example, some bloggers take up to two years before they become successful. Don’t let that scare you, though, if that is what you want. It should be inspiring. Yeppers, but this is to be factored in what you are deciding what avenue you want to head down. I just want to point out while there are online jobs that pay you for your work, most require time to become proficient in or to enough time to build it up. 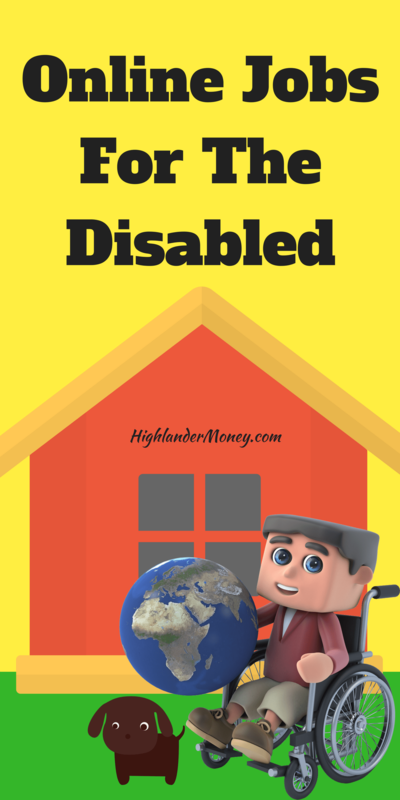 On my website here, Highlander Money.com I review a lot of ways in which to start earning income from your home and most of all of them can be done by with people with disabilities. Great news right! I will break it down, so you can get a better overall view. You can do any of them or a combination of them. It takes time sometimes to find a home. Something you thought you were going to like doing maybe is something you really hate doing. Just keep an open mind until it feels right. If you spend any time on my site here, you probably have noticed I love promoting Wealthy Affiliate for a job. Why? Well, I promote them for a lot of reasons first thing is I am a current premium member and will probably be for life. That is how much I believe in their system. They have taught me and continue to teach me skills to generate traffic, monetize my website, expand my self, etc. This list just never ends. I’ve been looking forever for a system like this, where I can be my own boss. I can’t say enough good things about Wealthy Affiliate, their training, their community, the owners. This is the complete package and no other system is up to par with them. It does take time but name me something that is great that doesn’t take time to build it up. You can read my in-depth full review of Wealthy Affiliate, Wealthy Affiliate Review 2016 Legit Money Maker. I might also suggest you look at my Getting Started tab to read other related articles about Wealthy Affiliate. Become an Affiliate Marketer – A full-time investment, potentially be a great earner, takes time see traffic, sales, income. Wealthy Affiliate is the best place to learn affiliate marketing. I highly recommend this, because it’s building a business for yourself not for somebody else!!! If you are serious, THIS IS IT!!!!!! Transcribe Audio Files– You can work when you want pay is generally medium for newbies. You can read my review of Casting Words here, I have worked for Casting Words and they are a fair company. Or also read I detail a lot of transcribing places at Types of Jobs Online. Online Tutor – Be a tutor for various languages, English, algebra, physics, math, programming, and just about anything. This would be a good area for someone versed in whatever particular field of study. This can also be found in my Types Of Jobs Online page. Search Engine Evaluator – A Difficult process of qualifying but pays around $13.00 an hour on average. Read more about it here Types Of Jobs Online. They can take up to one to two years to get back to with an opening. Data Entry – Convert paper documents to digital and like tasks. Surveys – Pay is low for the amount of time you work. There are lots of survey site. Some of the sites I have review are here. InstaGC – Is instaGC A Scam?, SuperPayMe – Is SuperPayMe A Scam?, Inboxdollars – An Inboxdollar Review, SwagBucks – Is SwagBucks Legit?, PrizeRebel – Types Of Jobs Online, Offers2Cash – Offer2Cash Review, & GetPaidTo – What Is GetPaidTo. Posting To Forums – Posting to various forums, pay is kind of low. I have reviewed here, Is Fourm Coin Legit?, Is The Forum Wheel A Scam?, Is Postloop A Scam?. Write E-books – I myself haven’t look too much into this one but I am going to in the future. I’ll report back here when I do. Drop Shipping Sales With Wholesalers – Another area I haven’t personally looked into yet. 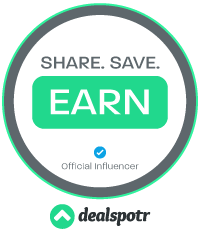 Save Money & Make Money Posting Deals ( I love doing this one) – Dealspotr – Read my full review here, What is Dealspotr About? You Need To Own A Website! For most of the jobs as mentioned above, you will need your own website. The whole process of building and owning a website has been so simplified over the years, and anybody can build one. The prices are inexpensive as well. The best way I know of training and providing a WordPress website from the ground up is at Wealthy Affiliate. It is how I learn and continue to learn, as new data is always updated and shared. Along with that is the community of WA, it is amazing. They provide motivation and help whenever you get stuck. years, helping people bridge their information gap and get them earning money. The training is easy to follow, as it is a step-by-step lessons, that get you progressing fast. Making Money Online Is So Doable! If you want to get started, I really can’t stress enough that working for yourself is the best way to make money in the long run. The best way I know to make money online is through Wealthy Affiliate. Head over to my Wealthy Affiliate Review and read and watch my video and make an informed decision about it. If you do decide to join, I suggest once you join to fill out a little about yourself with a picture that you seem fit. This is so the community there will know there is a real person there, and you will see what I mean of the community because they are so friendly and welcoming. I will also be there to welcome you and help you whenever you need it. 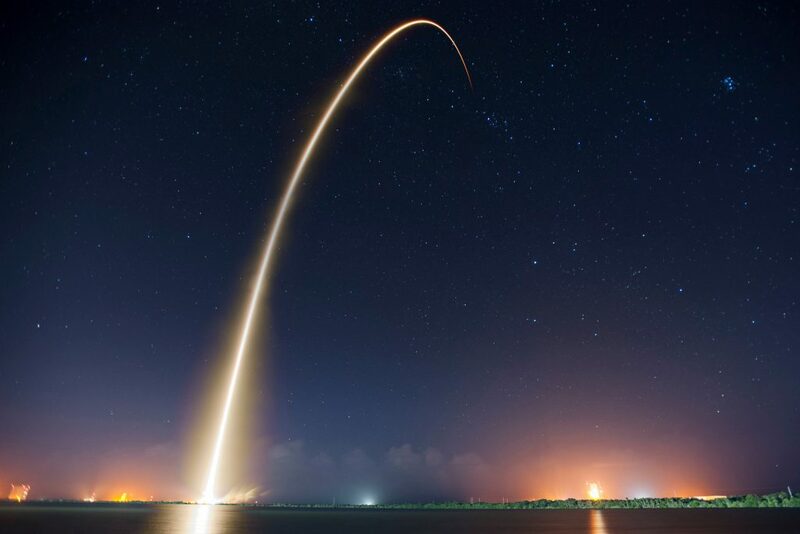 So, it is your decision and in your hands to take the necessary action and begin a new life, making money, and establishing a base of learning and growing. This alone is soooo rewarding. So, don’t forget to head on over and read my Wealthy Affiliate Review & Watch my (horrible, I hate my voice) video and decide for yourself but be informed. If you have any questions or comments at all, I would love the opportunity to try and answer them below. I have interest in this field. Im a handicapped. What out of the list interests you the most? I give a list of a few of the options. I lean myself to creating a website and working as an affiliate marketer. I have had success with this and continue to strive to be better. The best place to learn, network, and domain hosting is Wealthy Affiliate. I have nothing negative to say about the company after 3 years as a premium member. Join the free membership at Wealthy Affiliate and enjoy the initial 7 days as a premium member to review it for yourself. After seven days of looking under the hood for yourself determine if it is right for you. Hope this helps you Jasmin. If you have any questions ask me on my website or on Wealthy Affiliate, I will be more than happy to answer questions for you.